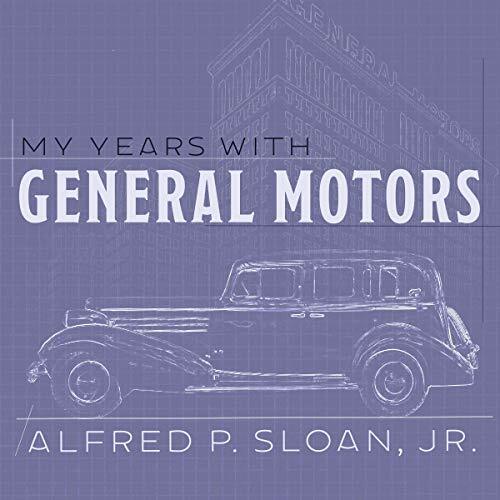 Written by: Alfred P. Sloan Jr.
My Years with General Motors became an instant best seller when it was first published in 1963. It has since been used as a manual for managers, offering personal glimpses into the practice of the "discipline of management" by the man who perfected it. This is the story no other businessman could tell - a distillation of half a century of intimate leadership experience with a giant industry and an inside look at dramatic events and creative business management. Only a handful of business books have reached the status of a classic, having withstood the test of more than 50 years' time. Even today, Bill Gates praises My Years with General Motors as the best book to read on business, and Business Week has named it the number one choice for its "bookshelf of indispensable reading". Sloan takes the reader through how GM developed systems for dealing with organizational opportunities faced during his tenure. Have read about 100 biographies and this stands out because of how ubiquitous much of his reasoning has become for large corporations. While sometimes a bit dry, the content is quite strong and has stood the test of time well. Feel a lot of insights were gained in the reading.